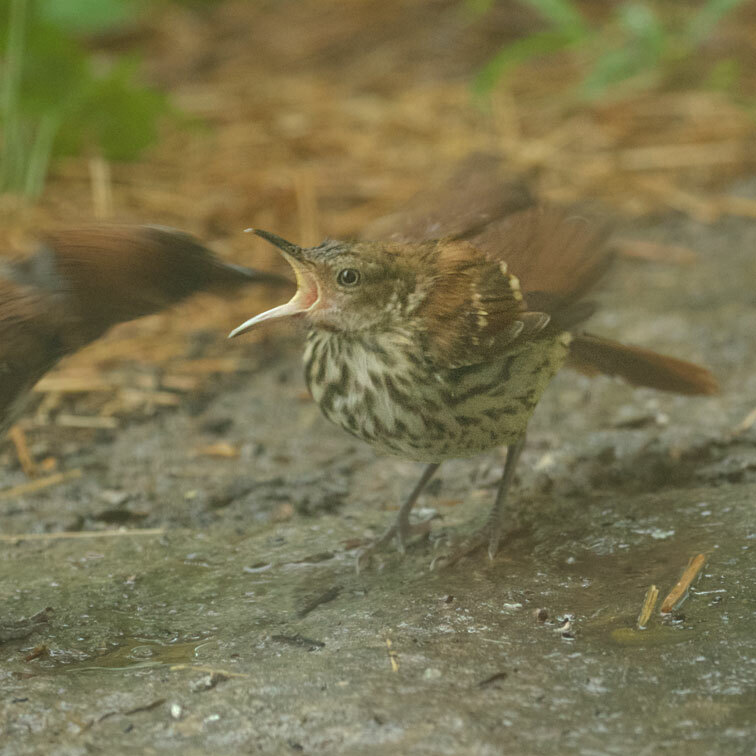 Yesterday's dark storm broke for five minutes, and the Brown Thrashers brought their babies out. Here one gets a quick snack from a hurried parent, and I get my first decent look at the family that has hatched out in the thicket under my oak tree. Such happiness. Short lived though. Before I was satisfied with my look, the sky lowered again dark gray, more rain poured down, and the thrashers disappeared.